The official hurricane season ranges from June through October in Cabo San Lucas, Mexico with the most risk of hurricanes happening in August and September, although if you remember rightly, Hurricane Odile caused some damage at the start of October in 2014. In all respects, if you plan your Mexico vacation to the beach during this time, you should be prepared for the chances of rain or hurricane warnings, although most of the time your vacations will not be affected at all. Do you know differentiate a fixed week timeshare from a deeded fraction? What is the difference between a vacation club and a residence club? Here you will find the answers with a brief guide to the kinds of vacation ownership you can enjoy. Most people who don’t already own a timeshare will think all timeshare models are fixed week. The fixed week model was one of the most successful timeshare options during the end of the last century. If you have a vacation booked in Puerto Vallarta and Cabo San Lucas, Mexico in the next few days, you might be apprehensive about the impact of Tropical Storm Carlos, deciding whether or not to cancel your vacation to Mexico. 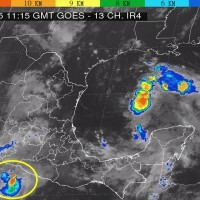 The chance of a serious risk while vacation in Puerto Vallarta and Cabo San Lucas during the passing of Tropical Storm Carlos is pretty low as the tropical storm is expected to make landfall today in the afternoon, when it will quickly lose speed due to the buffer of the Sierra Madre Mountains. 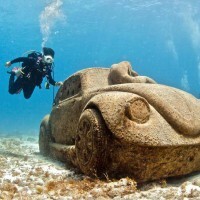 Mexico, and in particular Cancun, is one of the very best vacation destinations in the world for keen divers. Some of the dive sites in and around Cancuns’ coastline are stunning; some are incredibly unique. The waters around Cancun are filled with colorful and beautiful wildlife that has little competition as far as loveliness goes. Whether you’re a beginner or an expert, Cancun has something to offer. 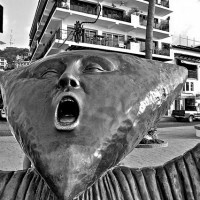 Puerto Vallarta is the ultimate vacation destination for the art lovers of the world. In no other place in Mexico will you find the pervasive presence of fine, modern, and public art living side by side by the beach. The abundance of varied art galleries, stores, and markets in the Downtown and Romantic Zone of Puerto Vallarta means that you’ll never be short of something artistic to do or see.